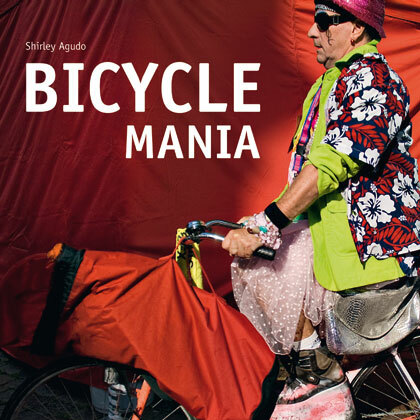 Every fan and promoter of urban cycling simply needs a copy of Shirley Agudo’s “Bicycle Mania”. You can regard it as a photo book, with probably the best collection of Dutch cycling photos ever assembled. Even as an Amsterdam resident and amateur(ish) photographer I marvel at the shots in these pages. Have a peek at a few examples here at the Eduard Planting gallery. 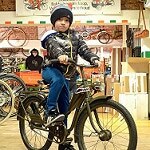 But “Bicycle Mania” goes much deeper. 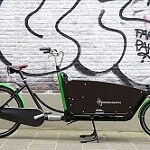 The photos are accompanied by well-informed and thoughtfully written text covering in sections covering the how and why the Dutch have achieved (and continue to build upon) the world’s best of nearly everything in transportation cycling: broad popularity, amazing infrastructure, safety, fun and pure variety on wheels. The text is in both English and Dutch, handy learning for those anglophiles who want to delve deeper into Dutch cycling culture than English can take you. Numerous authorities are interviewed, hyperbole and abuse of statistics is thankfully avoided and and it’s just a good read. In a nutshell: Recommended. 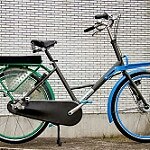 Read more about it at the Bicycle Mania website. 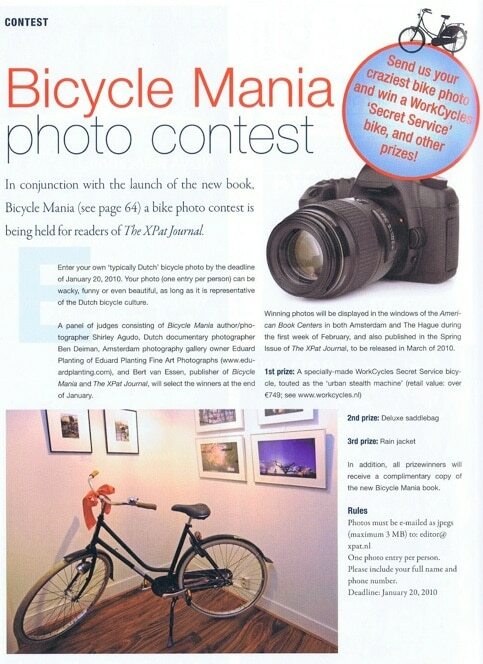 In related news a bike photo contest is being held in conjunction with the launch of “Bicycle Mania” by The XPat Journal magazine. 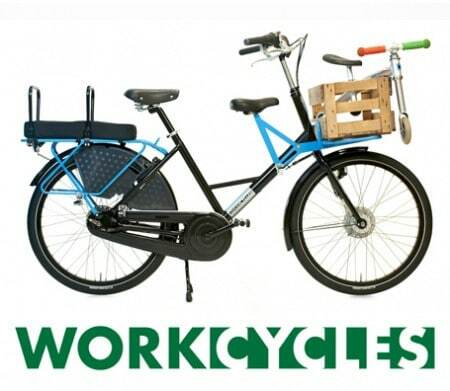 First prize is (yep, you guessed it)… a custom built WorkCycles Secret Service bike. Think you can take this one home? Well, you’d better act quickly since the deadline is 20 January. Photos must be emailed as jpeg’s of maximum 3Mb to: [email protected]. One photo entry per person and include your full name and phone number. Wanna check out the bike first to see if it’s worth the trouble? It’s at the Eduard Planting Fine Art Photographs gallery where a number of Agudo’s photographs are on display. I also “borrowed” the above image from their site. 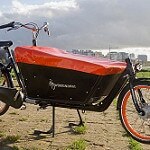 This entry was posted on Monday, January 18th, 2010 at 22:55	and is filed under Bicycles and Art / Fiets and Kunst, Bike Friendly Cities, Product reviews and rants. You can follow any responses to this entry through the RSS 2.0 feed.You can skip to the end and leave a response. Pinging is currently not allowed. Looks like good quirky stuff. I’ll have to get a copy. Ordered my copy today. Hope it isn’t too much centered on Amsterdam (which is in a way the sore thumb attached to the hand that is Holland …). There is so much more. I’d like to view the book, but first I wanna know about that contest! Is the contest open to residents outside Netherlands, like, in the United States? I have tons of great photos. 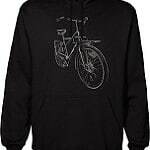 Steve, It doesn’t say anything about residency restrictions but I doubt they’d ship the bike to you for free. Regardless you have just wednesday to enter. “Sore thumb attached to the hand that is Holland”: ouch. How about Eindhoven or Rotterdam or Hoogeveen for that title if there are any sore thumbs here? Re sore thumb: what I meant to say is that Amsterdam is not das Mass aller Dinge as it is so nicely put in German. And regrettably it has to deal with more crime and incompetent government than most of the country. I may be slightly prejudiced as I was born in Rotterdam which I left 50 years ago :-). I now live in what David Hembrow thinks is heaven on earth: Assen. Again, slightly overrated I think. But Hoogeveen is even duller, I’ll grant you that. But seriously I also lived in Groningen for a couple years. That was fun and it’s a lovely, bike-centric city but I vastly prefer my life in “crime ridden” Amsterdam where kids play in the streets and women can walk safely through pretty much any neighborhood at night. Hey, what’s all this throwing of horse dung at Eindhoven all about? On a good day (that’s one when the wind isn’t blowing the smell of pigshit into the city – rare, but it happens), it can be quite nice down here in the boondocks, despite the crime rate. And there’s some (almost) countryside to cycle through too. You don’t find much of that up there north of the rivers. Okee, back in my Philips days I had some fine times in Eindhoven, mostly drunk at the Effenaar or something. But it still doesn’t generally rank amongst the “nicer” Dutch cities. Oh rats, the deadline has come upon me and I didn’t get organized in time to enter! But how I must tell you I love this book! I’m giving it as gifts to all my visitors & friends! Good book, and very instructive although natives of Holland may find nothing out of the ordinary! Too much Amsterdam for me but that is beside the point. And the color blind among us will not be too pleased; when will book – and website – designers realise that certain combinations of text and background colors just don’t work? P. 115 reminds you that a reflector must not be blinking; the Dutch translation corrects this on p. 119 by stating that the tail light must be constant, not blinking. Logical, really, as a blinking reflector is a light, not a reflector. P. 75 contains a quote which to me sounds misunderstood. It says: “ … a new development in the Dutch cycling infrastructure itself is to have the bike path right next to the road at intersections, since wider spaces between them … make it more difficult for drivers to see and yield to oncoming cyclists when making a right-hand turn. Currently, drivers have to practically turn around in their car to see if a cyclist is approaching – food for thought for other countries in the developmental stages of a cycling infrastructure”. The Dutch translation on p. 77 omits the intersections and translates oncoming cyclists as “naderende fietsers”. The main reason why bike paths are separated from the road is to keep the two inequal contenders for road space out of each other’s hair. Both having their own roads, they have one less “enemy” to watch out for. And positioning the bike path somewhat further away from the road at intersections results in making it a regular crossing at right angles; this is shown often enough in Mark’s videos as seen on David Hembrow’s blog and on their YouTube channel https://www.youtube.com/profile?user=markenlei#g/u. Now if I were in a car turning right at an intersection and heading for a crossing with a bike path, I would say that spotting an incoming enemy at 3 o’clock requires less head turning than spotting the same enemy at 5 o’clock – which would be the case when the bike path runs directly parallel with the road. There may be a translation hiccup here. 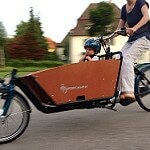 “Naderende fietsers” are simply approaching, from any side. “Oncoming cyclists” as in oncoming traffic come up from ahead, not from behind – although as a non-native English speaker I may be wrong in this interpretation. But even then the statement still doesn’t make sense to me. AMSTERDAM (Reuters) – Recession or not, the cycle-happy Dutch are still spending a lot of money on their bicycles — nearly 1 billion euros’ worth a year, in fact. 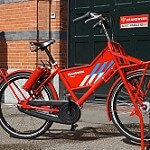 About 1.3 million bicycles were sold in the Netherlands last year, at an average price of 713 euros (623 pounds) each, an industry association said on Monday. That led to total revenue of 950 million euros for the year, up 4 percent on 2008, the RAI Vereniging said. 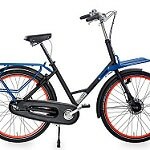 The per-bike price was also up 3.5 percent. 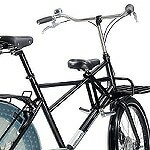 The country’s flat geography and high population density has made the bicycle one of the primary modes of transportation, with 18,000 km (11,180 miles) of cycle paths nationwide. 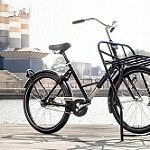 Statistics compiled by the International Bicycle Fund show a higher percentage of all trips is made by bike in the Netherlands than any other country in the world. 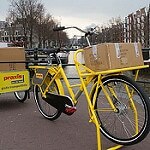 According to Statistics Netherlands, in 2007 nearly one in four Dutch workers commuted by bike. 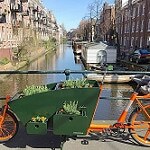 Anybody who has visited the Netherlands won’t be surprised to learn the Dutch are up to their ears in bicycles. 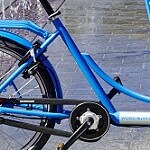 But those bikes have now began to encroach on public space so much, municipal governments are left with few other options than to remove some of them by force. 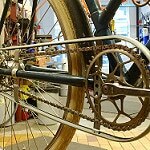 I’ve started a \Dutch Bike Owners\ group on facebook, a place for rides to share tips, experiences, etc. Everyone interested is welcome!